← MURPHY’S LAW a.k.a. 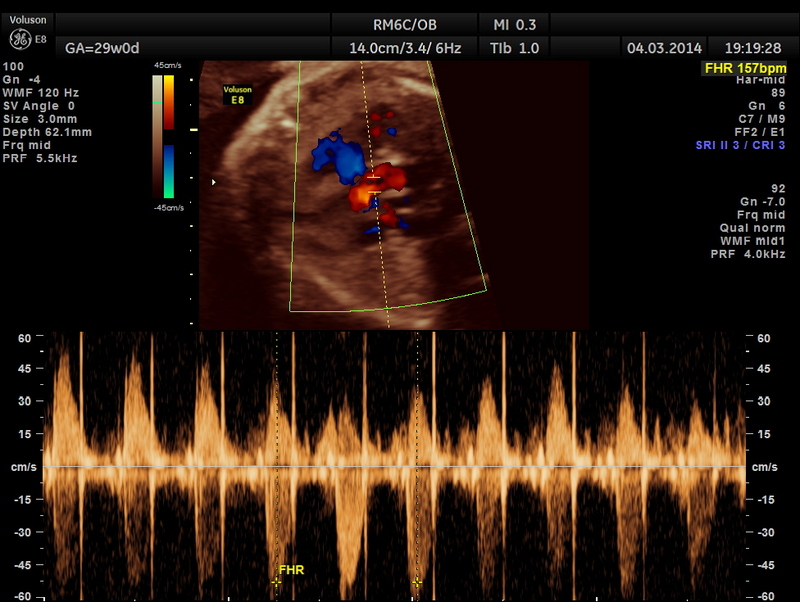 How straight forward is treating cholecystitis ? 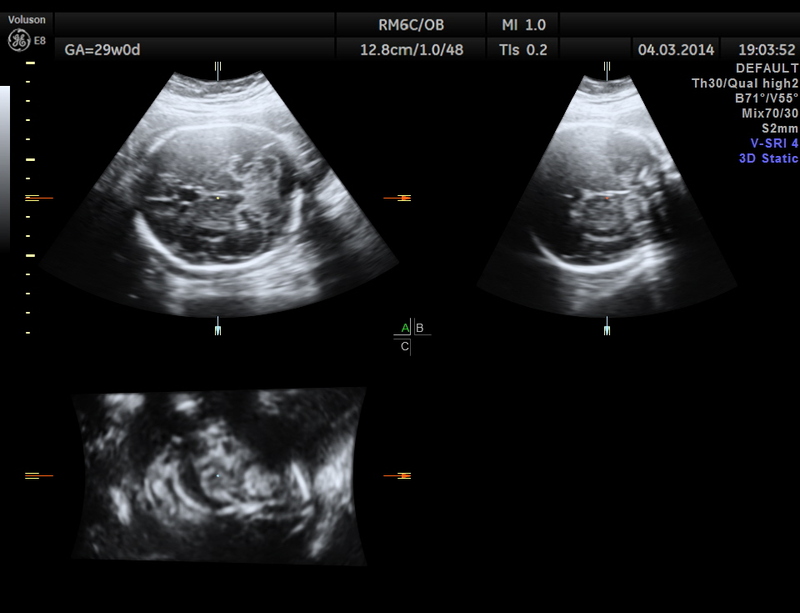 This was a 32-year-old lady – primi gravida . 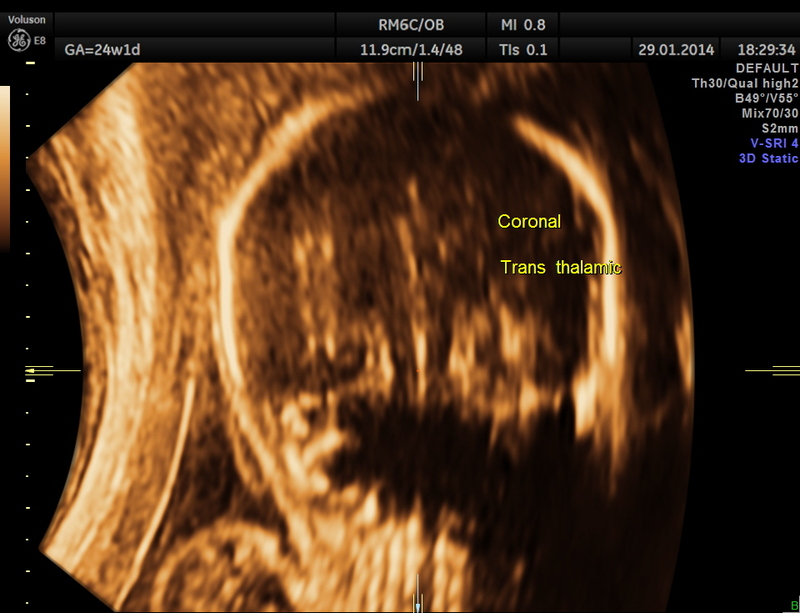 She was referred for an anomaly scan around 24 weeks gestation.Her earlier scan done in the first trimester elsewhere was reported as normal. The following images were obtained. 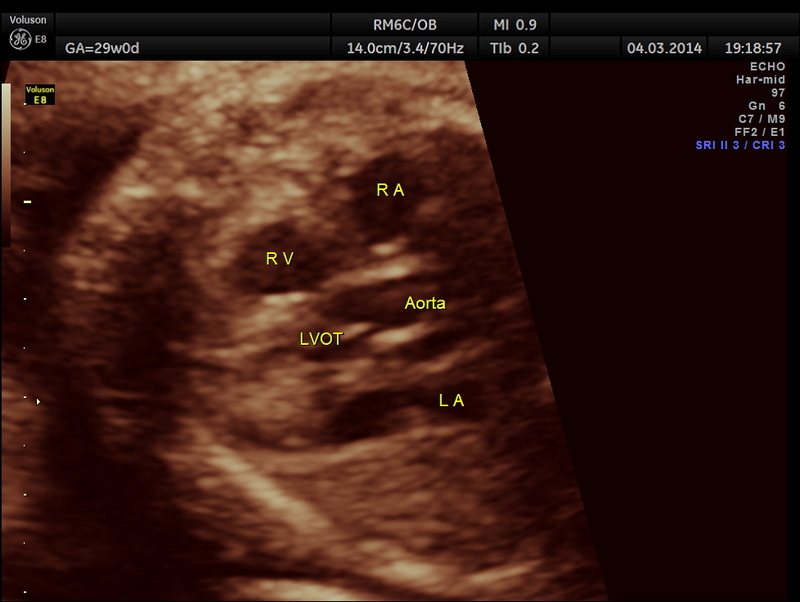 Unilateral choroid plexus cyst was seen . 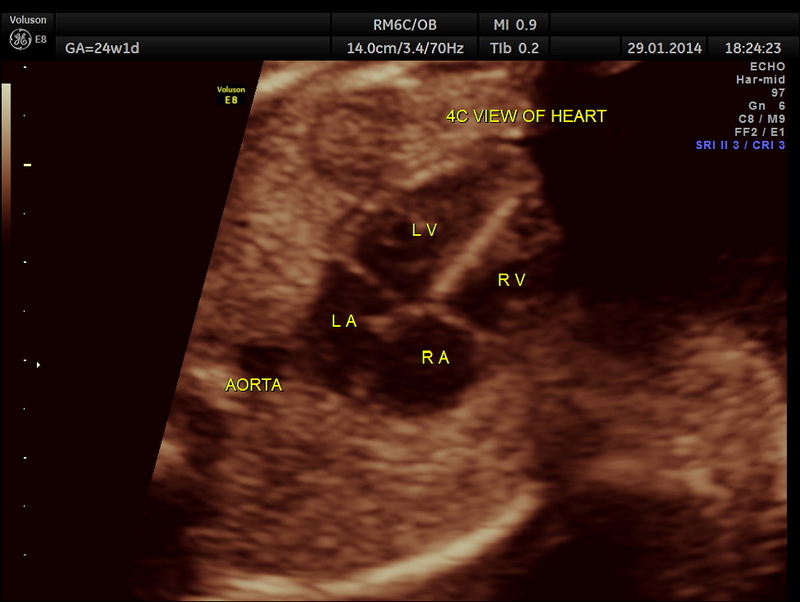 Images of the other organs are given below. 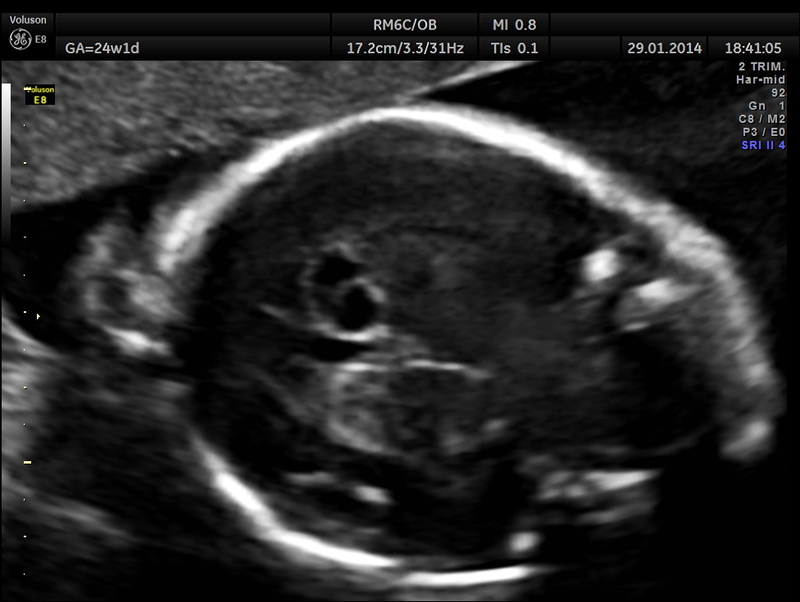 Now for a short review of the choroid plexus cyst and its significance. 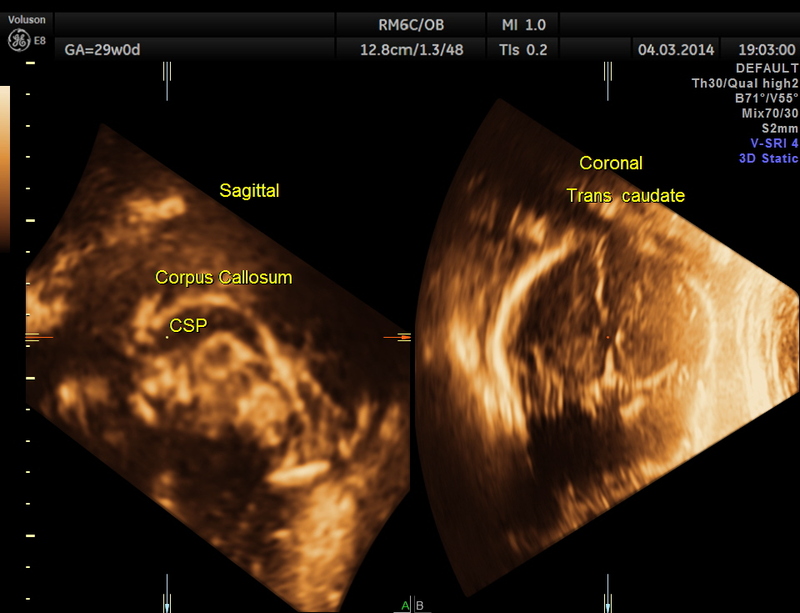 Clinical significance of fetal choroid plexus cysts. Gupta JK1, Cave M, Lilford RJ, Farrell TA, Irving HC, Mason G, Hau CM. 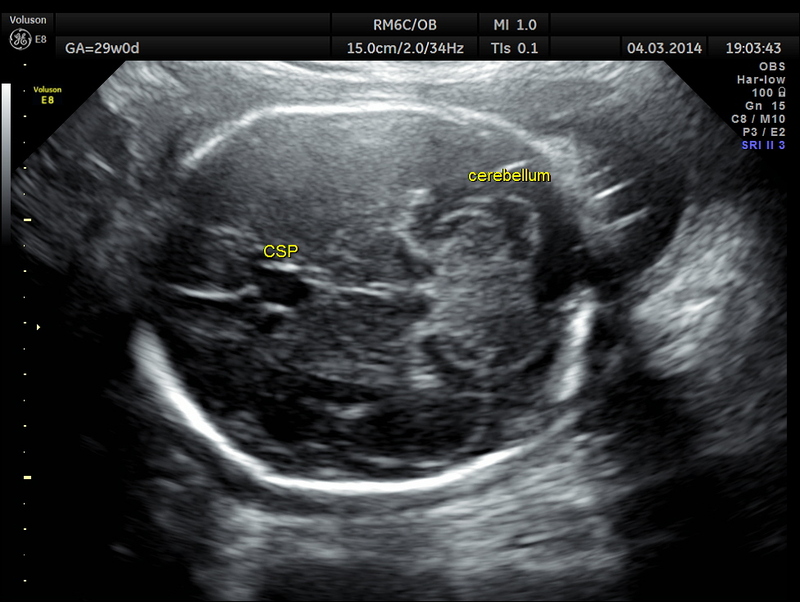 Choroid plexus (CP) cysts are commonly detected on routine mid-trimester ultrasound scan. 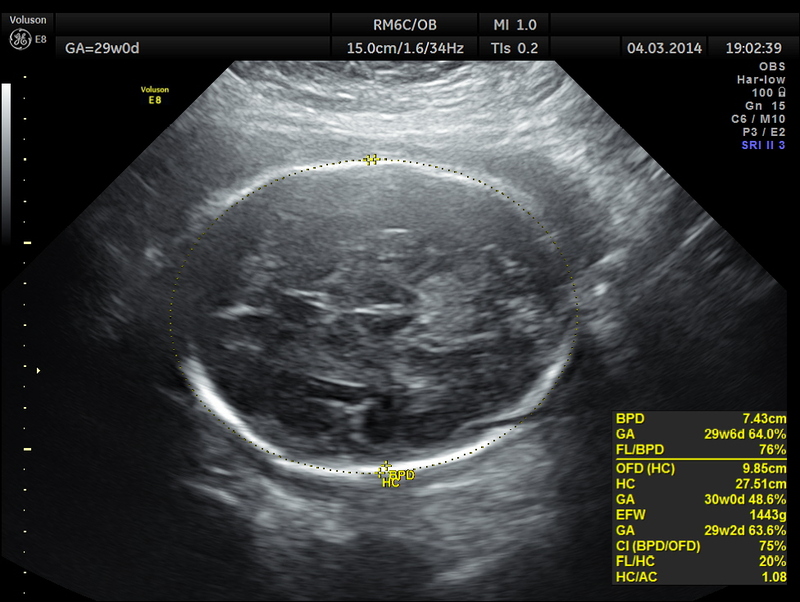 When associated anomalies are detected, the risk is sufficient to justify an invasive diagnostic test such as amniocentesis. However, the risk when no associated anomalies are detected is much less well defined. 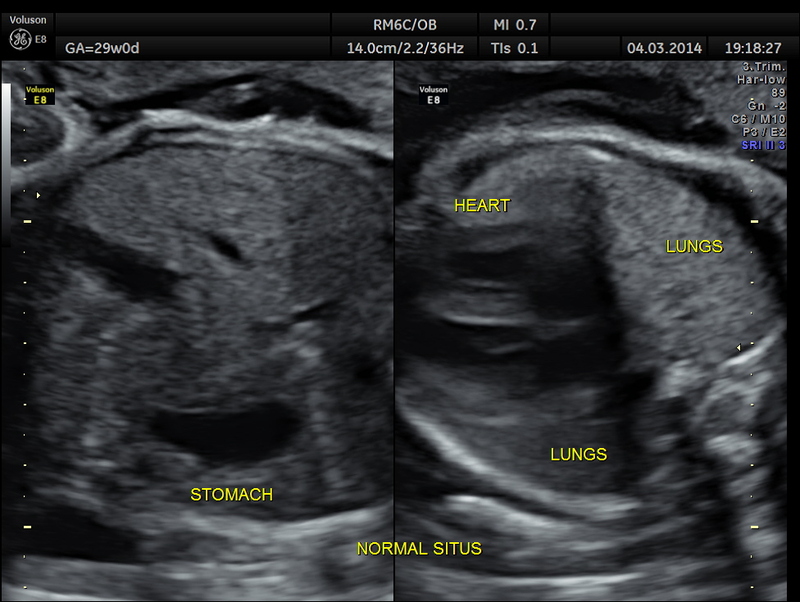 This information is required to determine the appropriate management in cases of apparently isolated CP cysts. We thought the only way to resolve the difficulties in counselling prospective parents was to conduct a prospective study in a large unselected population. 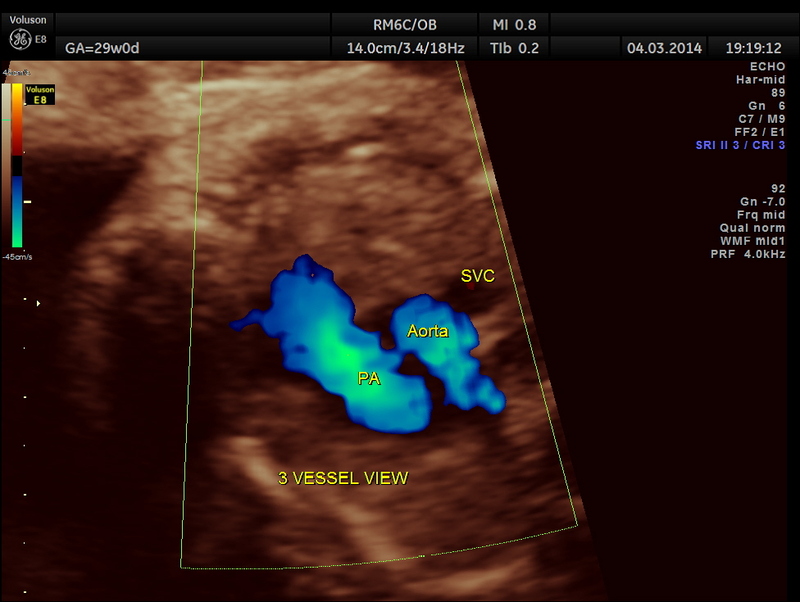 A registry of fetal CP cysts detected over 3 years in the Yorkshire Region was compiled and we identified 524 CP cysts. These cases were then amalgamated and analysed with 1361 cases from prospective studies reported in the world English literature and a further 71 unpublished cases identified from a 2 year prospective series from Ninewells Hospital, Dundee. 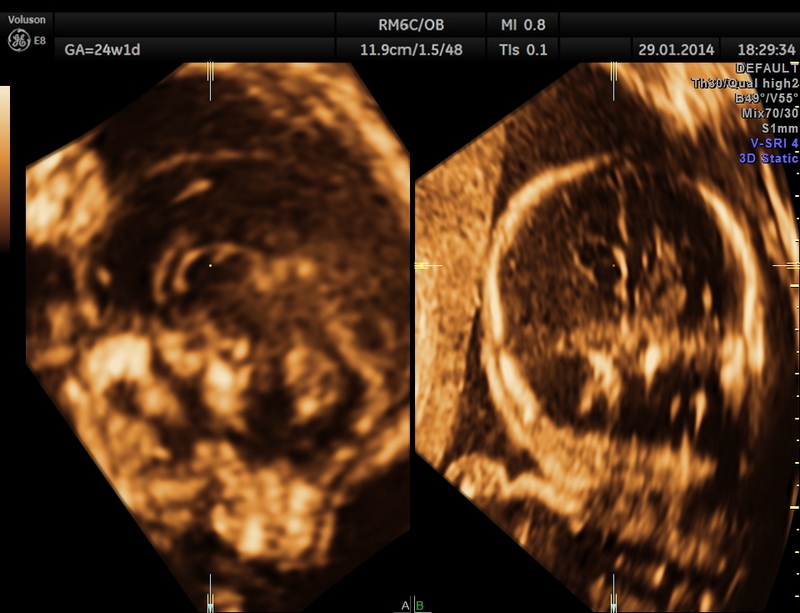 The risk of chromosomal abnormalities was 1 in 150 (95% CI 1 in 85, 1 in 261) when no fetal anatomic abnormalities, apart from the CP cysts themselves, were detected antenatally. 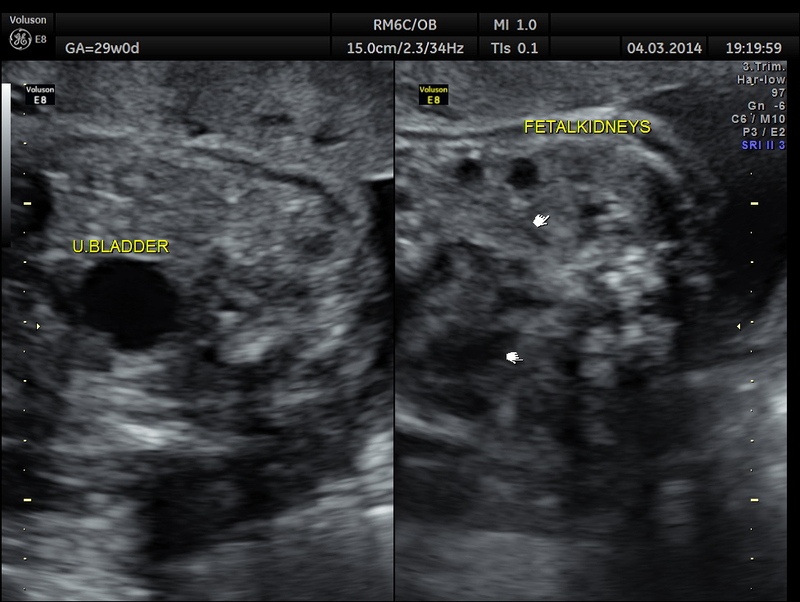 The risk increased to approximately 1 in 3 if any other associated ultrasound abnormalities were detected antenatally. 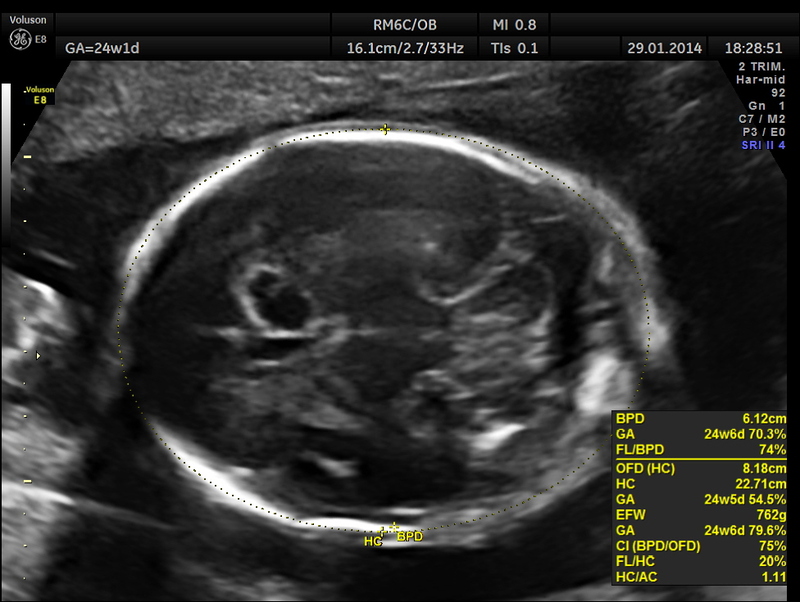 The risk did not appear to be related to whether or not cyst size diminished as gestation progresses, whether they were unilateral or bilateral, and whether they were small or large in size (60-80% < 10 mm). 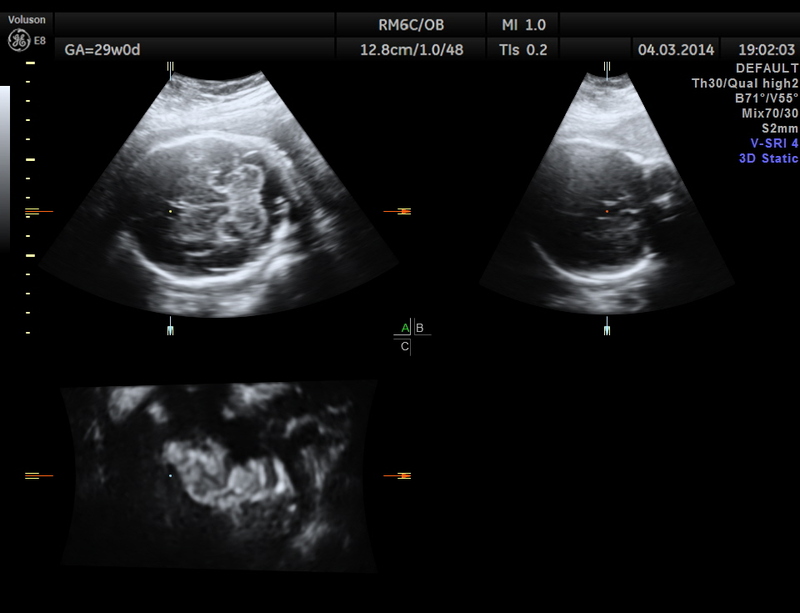 76% of aneuploidic cases were trisomy 18 and 17% were trisomy 21. 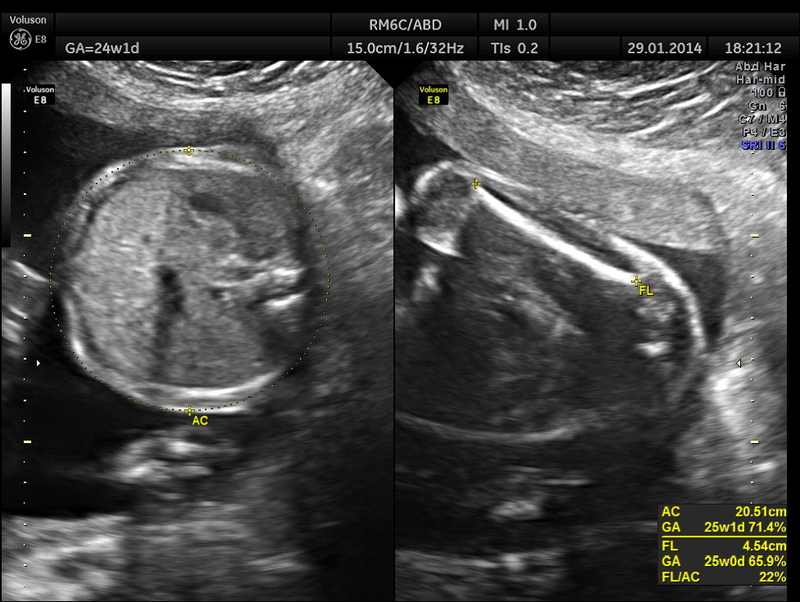 The risk of Down’s syndrome in fetuses with CP cysts but no other anomalies detected antenatally is 1 in 880. 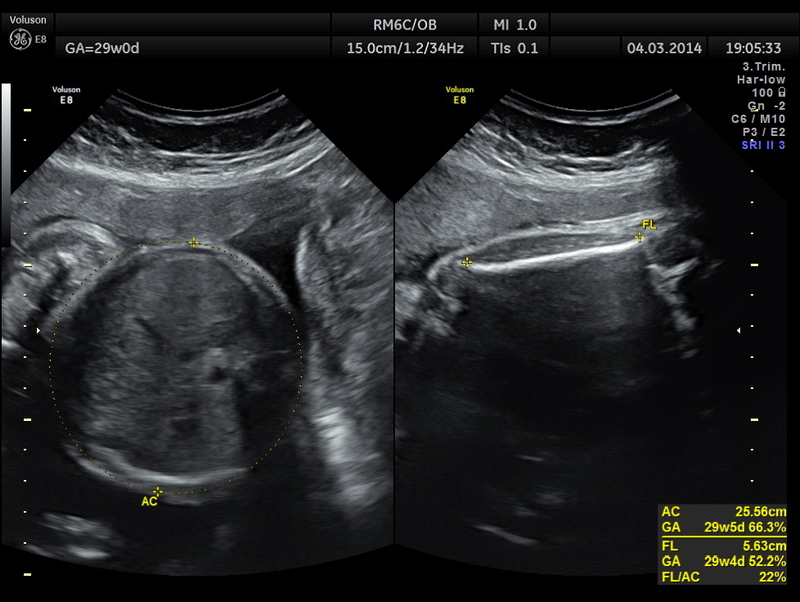 The probability of a chromosomal abnormality is high when CP cysts are associated with any other antenatally detected anomaly, indicating a clear need to offering amniocentesis. The predictive value is much lower when no other anomalies are detected. 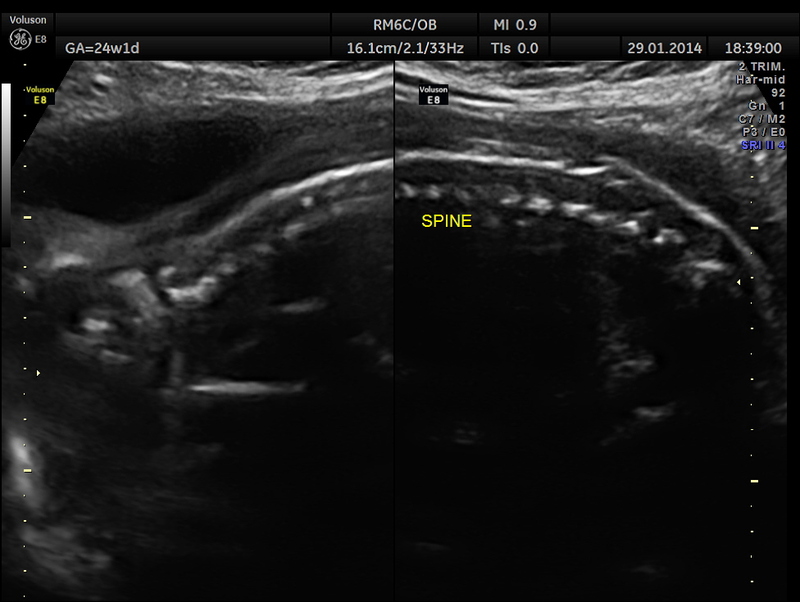 In such cases, it is probably advisable to regard CP cysts as an indication for detailed ultrasound assessment, rather than invasive testing. 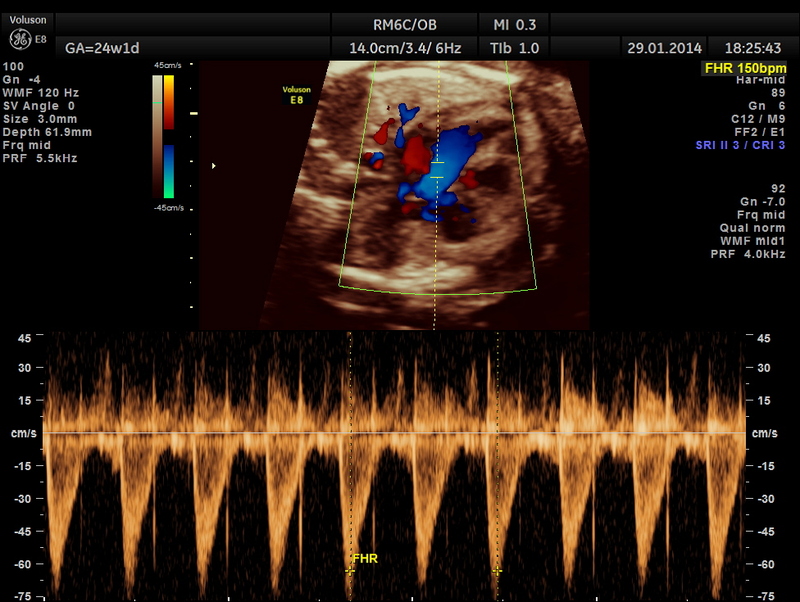 In this patient no other associated anomaly could be made out and so she was re assured ; She came for a review 1 month later. 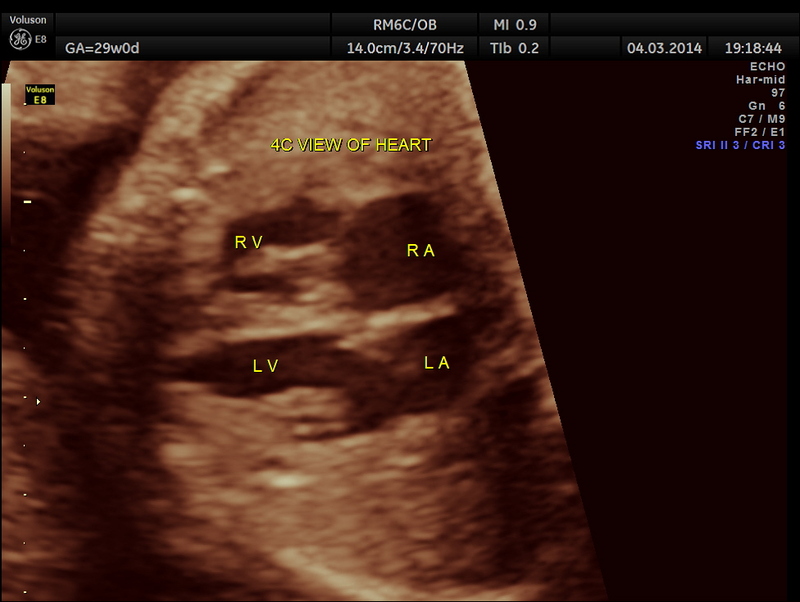 The unilateral choroid plexus cyst could not be seen now. No other anomaly was made out. The following are taken from the site mentioned here. 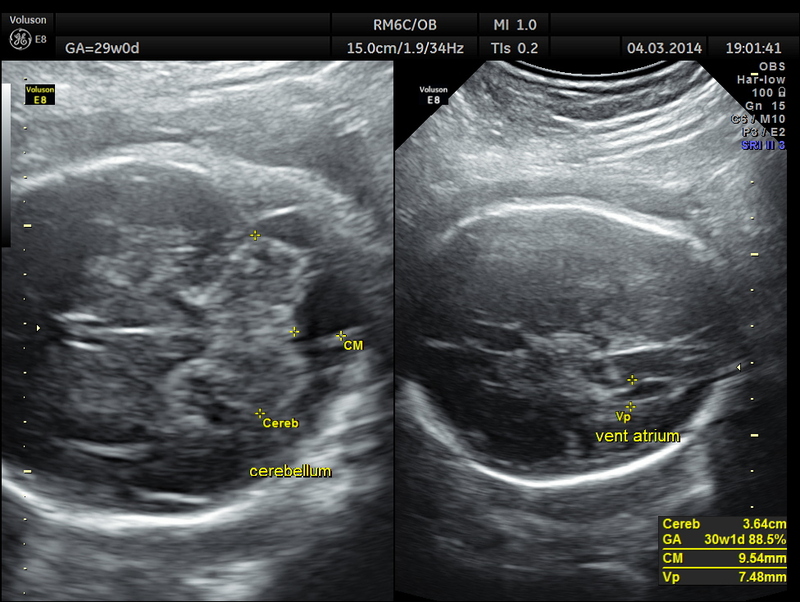 When an isolated choroid plexus cyst is detected, how is counseling different for women with a normal screen versus those whose screening indicates increased risk? 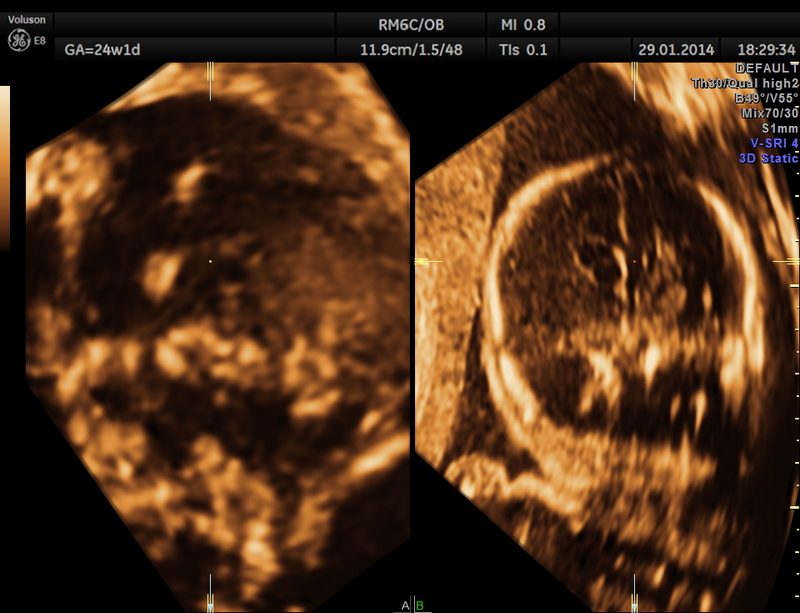 Counseling for a woman after prenatal identification of a fetal choroid plexus cyst should be guided by the presence or absence of other sonographic markers or structural abnormalities, results of maternal screening for risk of trisomy 18 (if performed), and maternal age . 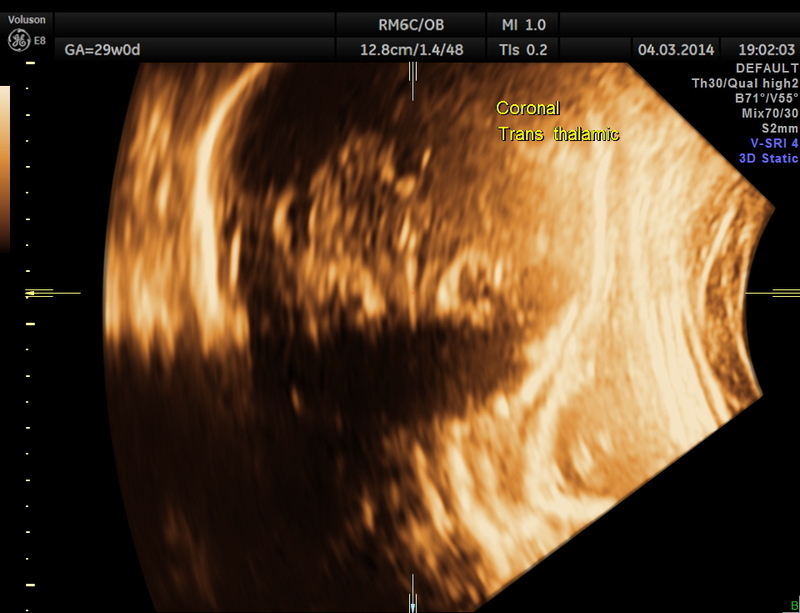 In women who screen negative for trisomy 18 (either first- or second-trimester screening) and in whom no other fetal structural abnormalities are visualized on a detailed ultrasound, the finding of an isolated choroid plexus cyst does not require additional genetic testing. 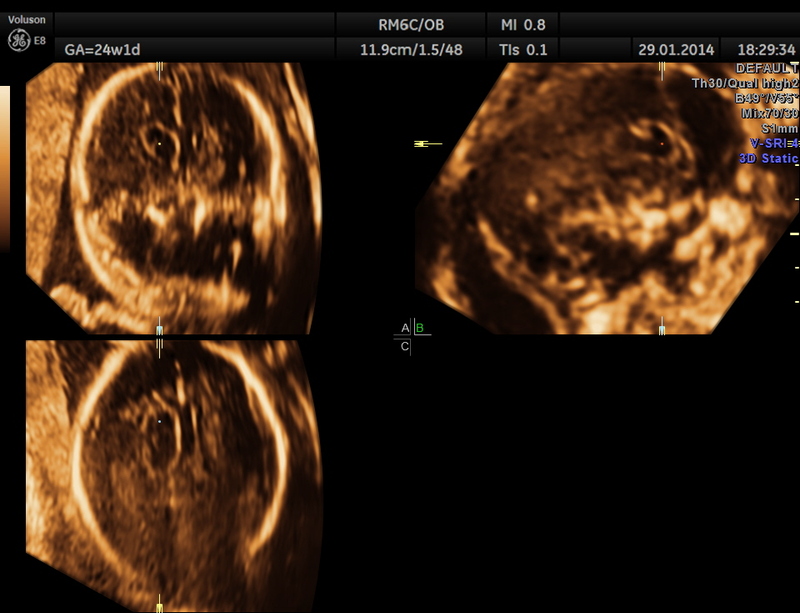 Some experts suggest that it is unnecessary for a physician to discuss such a finding with a patient because it can be considered a normal variant.8 If it is discussed, the patient can be reassured about the extremely low risk of trisomy 18. Genetic counseling should be offered to women whose screening (eg serum or combined) indicates an increased risk of trisomy 18. If serum screening was not performed or was declined, it can be performed at this time. 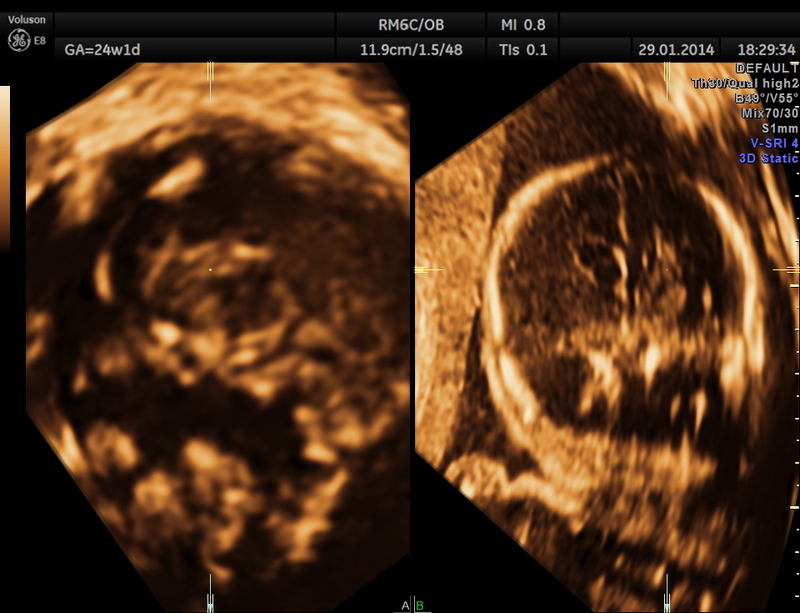 Counseling should include a discussion of the association between choroid plexus cysts and trisomy 18, and diagnostic testing should be offered. Noninvasive prenatal testing may be a reasonable option for women who are concerned about the procedure-related risk of pregnancy loss. 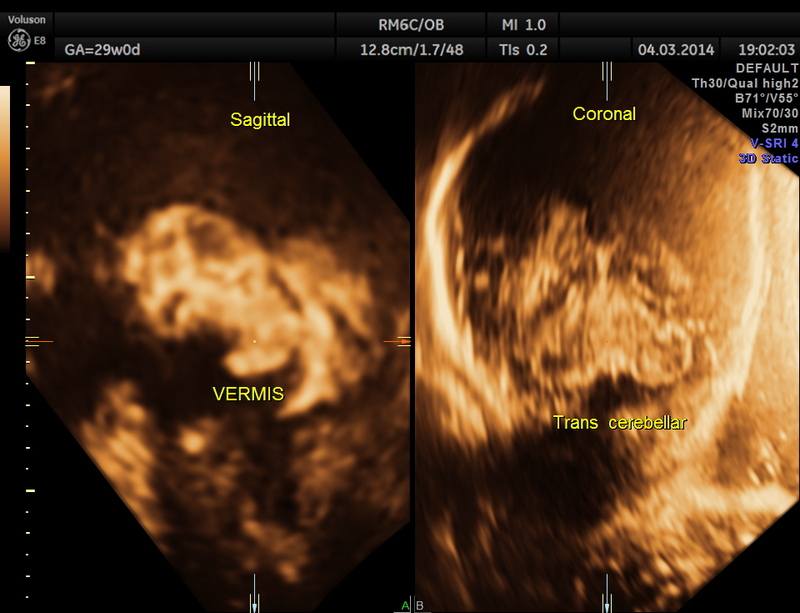 Ultrasound characteristics of choroid plexus cysts (size, complexity, laterality, and persistence) should not be used to further modify risk because these factors do not significantly impact the likelihood of trisomy 18. 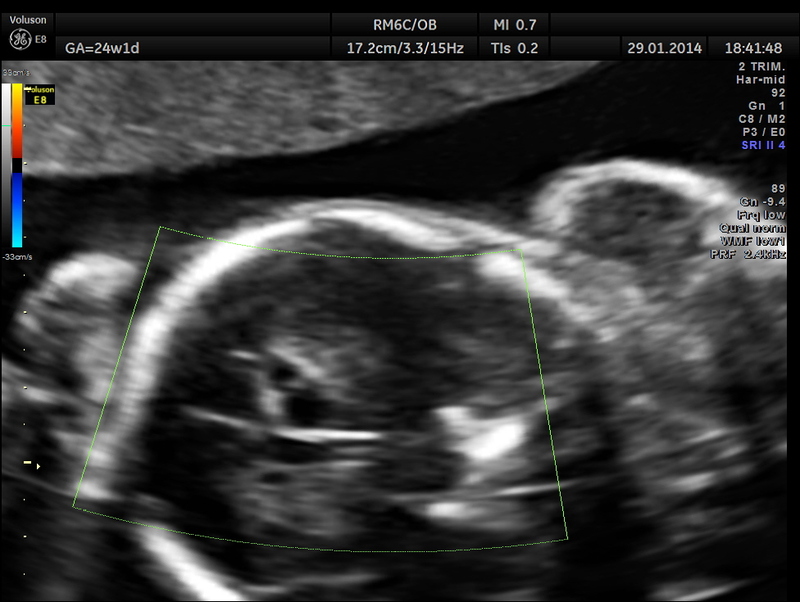 The presence of a choroid plexus cyst does not alter the risk of trisomy 21, and the finding should not be used to modify a patient’s risk of trisomy 21. 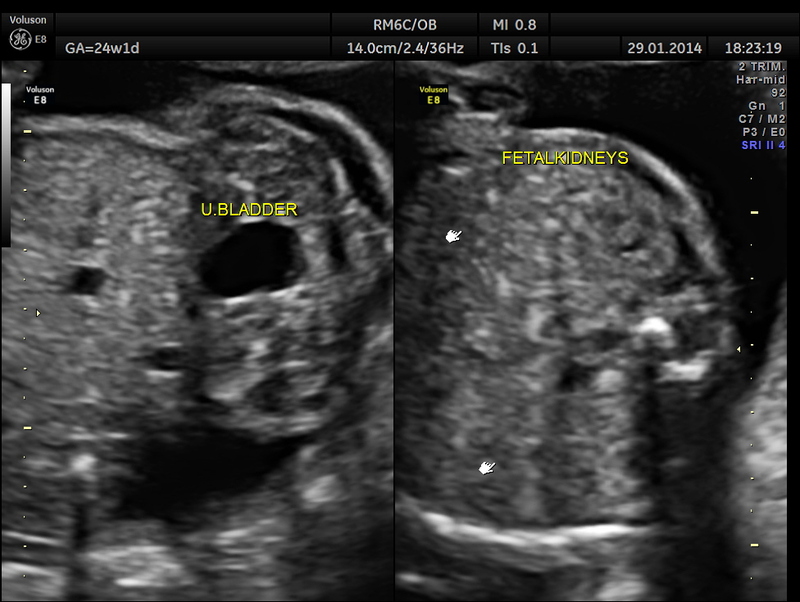 How should a woman with an isolated choroid plexus cyst be followed throughout pregnancy? 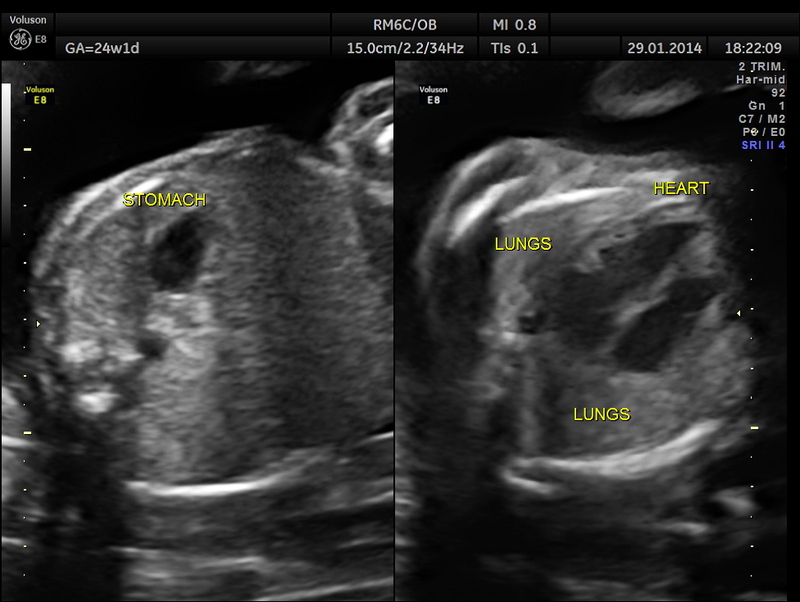 More than 90% of choroid plexus cysts resolve, most often by 28 weeks. 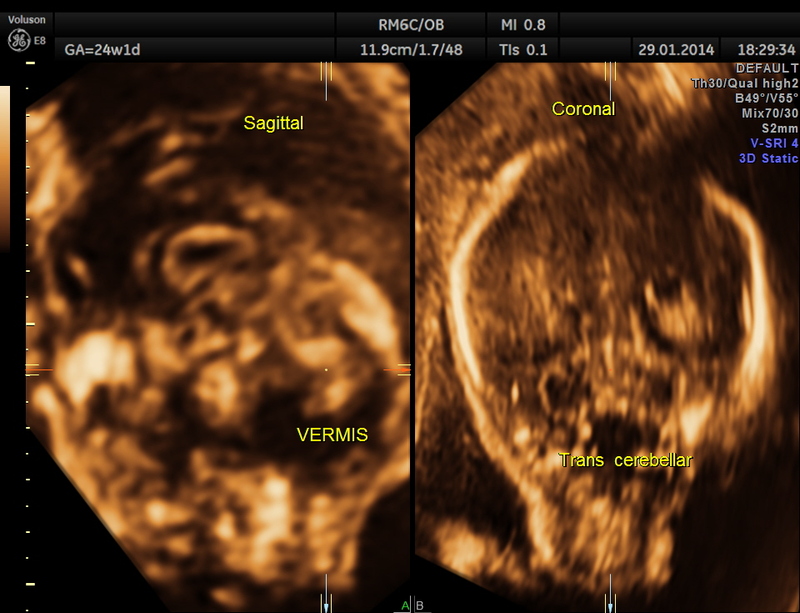 Studies evaluating neurodevelopmental outcomes in euploid children born after a prenatal diagnosis of choroid plexus cysts have not shown differences in neurocognitive ability, motor function, or behavior. 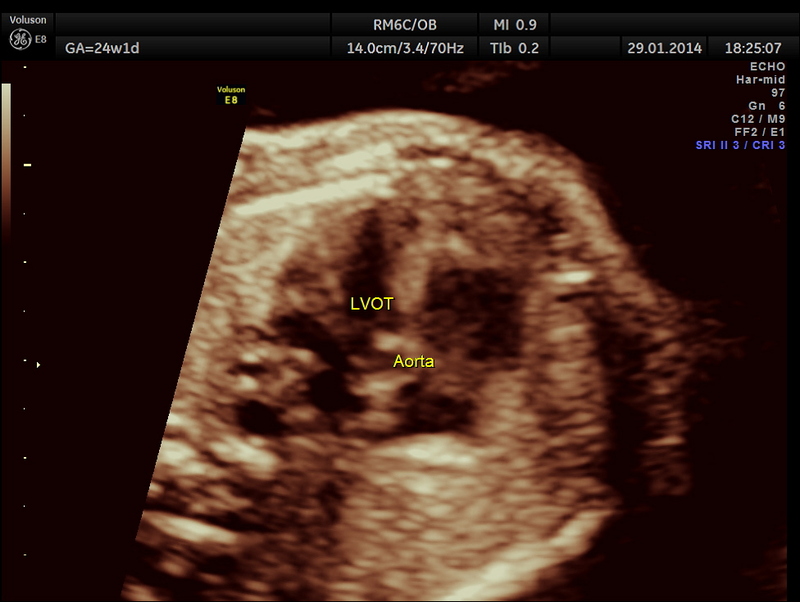 Therefore, neither serial antenatal ultrasounds nor post-natal evaluation are clinically useful. We see them often and mostly w/o any other findings. I read ( somewhere ) that they are even seen on autopsies in older population. Not sure how valid that is though. Thanks agin for the interesting case! 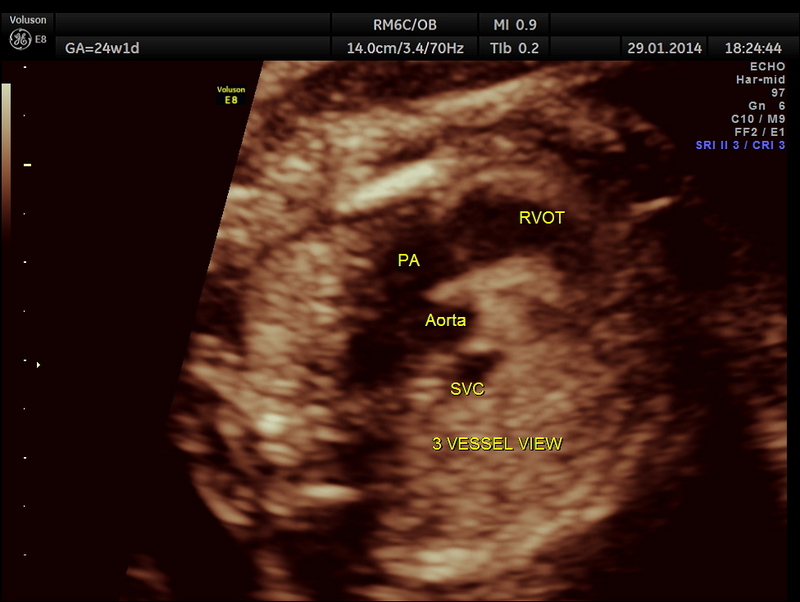 Adult choroid plexus cyst may not be the same entity as fetal cyst.